8. Is the supplier a direct manufacturer or only an agent? Some of the issues while evaluating potential suppliers in marketing are briefly discussed below. Does the supplier have adequate facilities? Will he be able to supply you all your requirements in time and produce goods of the quality required by you? Has he adequate quality control and testing facilities? Has he qualified and experienced people to take charge of production? What is his financial status? Is he solvent or is he in financial difficulties? If he is in financial difficulties, he might not be able to procure raw materials and consequently his production might get affected, thereby adversely affecting his supplies. What is his reputation in the market or with his bankers? 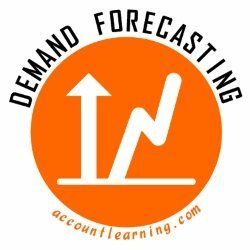 Has he a modern outlook and is he interested in improving his product by using modern techniques like value analysis? What about the technology that he employs? What is his attitude to improvement of technology? Does he have an efficient management to run the company? Has he an Research & Development facility? What is his reputation in the market with regard to quality, price, promise of delivery dates, etc.? Does he keep his word or is he the type who will ignore you if an item produced for you can be sold in the market for a higher price? How is his “after sales service”? Does he have adequate maintenance engineers or after-sales-service staff in the town where you are located? Where is he actually located? Is he near your factory or at a distant town located in another state? What is his sales representation? Are there industrial strife, frequent strike and or layoff, etc., in supplier’s factory which will seriously affect his supplies. One has to be very careful in dealing with such companies. A purchaser must always be conscious of the fact that there are always possibilities of obtaining better sources of supply. Better sources, in this context, means, sources from where more competitive rates, better quality, better services, etc., can be obtained. Continuous efforts must be made to seek and find out such sources. Technological competition: This refers to technical quality of a product, i.e., its versatility, dependability, reliability, etc. Service competition: This refers to “after sales service” that the manufacturer or supplier is able to render. This will include various guarantees or warranties attached to the product. Time-Based Competition (TBC): This is another type of competition which is fast developing all over the world. It refers to the response time for delivery. A question that needs to be answered is whether there should be only one supplier or more suppliers for the same product. There are several advantages and disadvantages in both the systems. If there are more than one supplier, there is a greater degree of dependability in the matter of supplies in the sense that even if one supplier fails to supply the material required for some reason, production will not suffer. One source would mean a consistency in quality. Two sources would mean a certain amount of competition and motivation towards improvement of quality. Because of the volume of guaranteed business, continuity of supplies, and the effects of the learning curve, one supplier might be able to quote the keenest price. 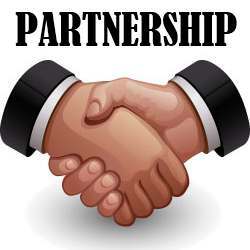 Having two suppliers may re-motivate both of them, and it is also possible that the opposite may happen. The above factors should be evaluated before a decision is made. Usual considerations like criticality of the product or its availability will influence the ultimate decision. In certain cases, a company might be buying almost 100 per cent of the supplier’s production. In such cases, there is always a tendency to squeeze the profit level of the supplier which is not good ethics. 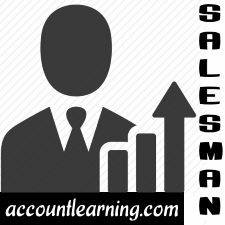 A continuing relationship between the buyer and supplier should ensure that the supplier is allowed a reasonable margin of profit on his sales. This is actually intended to give the supplier enough motivation to continuously improve his product and services and to remain in business. It is always better to remember that profit is absolutely essential for a company for its survival and growth. Even if a reasonable profit is denied, a business will collapse. The total attachment of a supplier to only one buyer may mean that if the buyer is in difficulties, its effect would suitably reflect on the supplier also. Naturally, this will only harm his interest. The converse is also true. Many reputed firms try not to be more than 15 to 25 per cent of any one supplier’s business. The reason being that if their purchases represent too large a share of the supplier’s business and if they discontinue a product or purchase an item from another source, they could put the supplier in a very difficult situation financially. 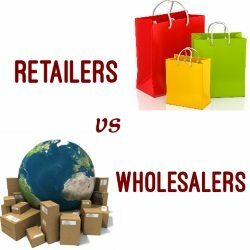 A question may arise as to whether a buyer should purchase directly from a manufacturer or his distributor viz., agent or stockists or a wholesaler. 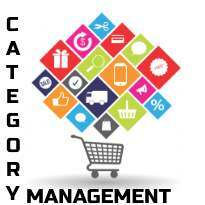 Usually, the middlemen offer excellent services which the manufacturer may not be in a position to extend. Often stockists are available locally while the manufacturer may be far away. The stockist has a direct interest in customers and his services are usually better. While dealing with a local stockist, the amount of time and expenses one wastes in purchasing e.g., paper work, follow-up etc., is very much less. However, there is no hard and fast rule with regard to these matters and after a proper evaluation a decision is taken whether to buy from a manufacturer or his stockists. where everything else is almost equal, buy from the local supplier. One of the problems that arises from a distant supplier is extra costs incurred on transport, packing, insurance, sales tax, octroi, etc., then there are the usual difficulties of follow-up. Again any decision in this respect depends on a number of factors, such as the efficiency of the distant supplier compared to the local supplier. The local source is often used because of its ability to meet the urgent purchase requirements or because the local relationship may permit the disputes, if any, to be more easily resolved. If a distant supplier is competing effectively with local source, it may be because he is operating on a national level or specializing in a narrow area of materials or service. He is, therefore, able to effect economies of scale and probably offer a better service or quality or both at a lower price than the local source. National buying has several advantages. National sources, as a result of economies of scale, can be more efficient than the local suppliers and offer higher quality or better service at a lower price. They also have superior technical assistance. Besides they also have greater production capacity and, therefore, greater production flexibility to handle fluctuating demands. International/global sourcing is one of the most challenging aspects of purchasing and supply management. Perhaps the most perplexing issue is that of balancing the purchasing firm’s short-term interest with the firm’s long-term need to be competitive. Many companies have a mutual arrangement with their suppliers whereby the suppliers purchase the goods produced in the buyer’s company in exchange for the same consideration. This is called reciprocity. However, such arrangements should be based purely on merit without sacrificing the basic considerations in purchasing, such as the right price, the right quality, the right delivery, etc. Resorting to costly and unsatisfactory purchases for whatever reason is not a healthy management practice. However, if the buyer’s purchasing interest remain reasonably intact, there is no harm in entering into reciprocal arrangements with the suppliers. In India, there are various categories of companies – large-scale, medium-scale, small-scale and, now, the mini-scale also called tiny sector. Each of them has its special characteristics and, consequently, these may be advantageous to the buyer. A large-scale manufacturer would have a large clientele and usually a good sales and after-sales-service set-up. Because of economies of size, the large scale manufacturer would be able to produce goods at a cheaper rate. He might have better quality control facilities and a qualified production personnel, and so on. However, a small-scale manufacturer can render personalized attention to the buyer. It will be easier to contact and deal with him and his response to the buyer’s problems will be very prompt and positive than in a bureaucratic big organization. Where, for example, a product requires development, a small unit would be of greater advantage. The owner may take special interest, study the problem himself and make an earnest attempt to meet the buyer’s requirements. Such personalized attention might not be available in a big concern. In many cases, the government gives excise duty concessions or exemptions to products manufactured by small-scale units. These concessions give a price advantage to the buyer. There is also a possibility that the small-scale manufacturer has less overheads and may offer at a cheaper price. From the point of view of the buyer, there is usually a distinct possibility to persuade and pressurize a small-scale manufacturer to reduce prices. This usually happens when a good percentage of the manufactured goods is purchased by one firm. What was said earlier about the monopolistic buyer would, however apply here also. Many forces motivate a buying firm to develop and implement programmes designed to ensure that minority or women-owned business receive a share of the firm’s business. A minority business enterprise is a business that is at least 51 per cent owned, controlled, and operated by one or more Indian citizens belonging to a recognized minority group. A women owned business enterprise is one which is at least 51 per cent owned, controlled, and operated by one or more women. the environmental issues associated with the use and discharge of hazardous materials — anywhere in the supply chain. As in every other area of management, a decision regarding the source of purchase should depend on a full evaluation of all the factors pertaining to the case. There are no hard and fast rules and neither can such rules be prescribed. A manager’s ability to decide would depend upon the facts that he/she gathers on the issue and upon a full analysis of these facts.